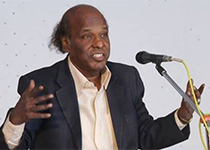 Dr. Rahat Indori's career graph has the typical tough-times-to-tinsel-town element to it. A Painter turned Professor, Poet and then Hindi film Lyricist. 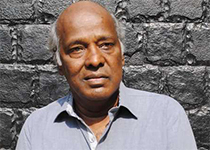 Rahat was a Pedagogist of Urdu literature in Indore University before his flair was spotted by Mumbai's film industry and the listeners of Urdu poetry across the World. A thorough gentleman, with philosophic inclinations, Rahat Indori is known for his poetic brilliance and absolute commitment to work.